Everybody I know who plays Overwatch’s pistol-slinging cowboy McCree is coveting the digital skin worn by Do-hyeon “Pine” Kim, the world class McCree pro who stole everybody’s heart last week in his debut Overwatch League match. It’s a dreary blue skin repping New York’s Excelsior team but wearing it is aspirational. If I dress like he did, the thinking goes, I can play with the same mastery. So now, there are little Pines scattered across Overwatch’s servers, making ambitious McCree plays and, probably, landing a few headshots. Pro players are like talismans for a game’s community. They’re a show of possibility. Players step into Pine’s McCree skin and feel emboldened to reach for the skill ceiling he set. Their influence over players is clear as day the dawn after a big tournament, where pro players lead trends, sometimes normalizing otherwise outlandish play choices. The first season of the official Overwatch league started last week and I’m suddenly seeing a lot of otherwise controversial picks in Overwatch’s competitive mode and uncharacteristically chill responses to them. People are playing what they saw in the League games, hoping to recreate some impressive moments. I’m even doing it. 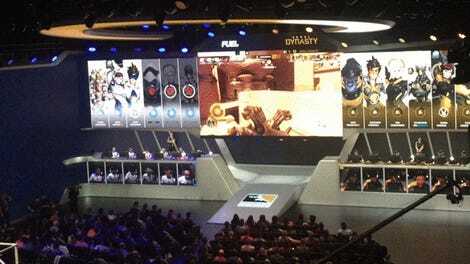 Over the weekend, Seoul Dynasty went up against the Houston Outlaws, who were laughably outclassed by the league’s premiere Korean team. Seoul took the opportunity to do something freaky. On a map that asks players to move a payload through space, two Seoul players chose snipers while one other chose a robot turret—all heroes who tend to camp out in the map’s corners and alleyways, removed from the moving payload. They ping-ponged between the payload and out-of-the-way hideouts, leaving the payload to the tanks and just one support. It was a ridiculous strategy. One of those snipers, Widowmaker, operated by Byung-sun “Fleta” Kim, was the ringmaster of this circus. Swinging from post to post with a grappling hook, Fleta often landed two headshots in the span of just seconds. I felt like a child at a county fair watching an adult deftly pop pinned balloons with darts. Fleta wasn’t the only one to wow audiences with his Widowmaker plays. Against the Houston Outlaws, Pine switched off his suddenly famous McCree, stunning crowds with mid-air snipes that looked positively simple. Overwatch League plays bleed into Overwatch’s competitive mode. It seems like Fleta and Pine’s Widowmaker plays are having an osmotic effect on how game’s competitive community makes choices. Over the weekend, players, myself included, noticed a small influx of Widowmaker picks in the game’s competitive mode. Over the weekend, Overwatch’s competitive mode was alive with new ideas. On /r/CompetitiveOverwatch, a player asked today “What is the cause of Widowmaker picked so much recently?”. Responses pointed to specific plays made by Fleta or Pine, or typical compositions’ vulnerabilities made clear through situations they’d exploited. It was Fleta’s easy headshot on the other team’s healer, or Pine’s quick and resourceful switch from McCree to Widowmaker to accommodate a new map. Another thread pointed out that Fleta had the best Widowmaker performance ever recorded over the weekend. Over the weekend, Overwatch’s competitive mode was alive with new ideas. On one map, I heard a teammate urge, “Let’s set up back on this ledge here instead of near their spawn,” a risky move that he’d caught on a match earlier that day. We ended up losing that point. On another map, a teammate consistently picked the mobile tank Winston on defense when, typically, he’s chosen for attack maps, citing how Winston is now vital to pros’ defense compositions. That strategy seemed to work swimmingly. Inspired by Seoul Dynasty’s wild attacking composition this weekend, I made a bold decision in a desperate situation, picking the turret robot Bastion as a surprise pick on an attack map. I have less than an hour played on him. It went quite well until it didn’t. And I felt a new feeling. It wasn’t the joy of winning or the shame of losing. It was the thrill of stretching into a new pose and holding it until I couldn’t. 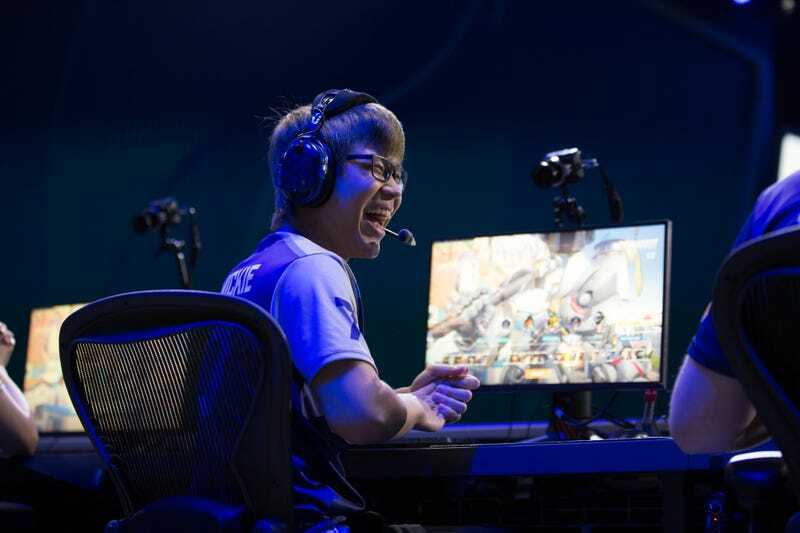 Overwatch League pros are giving life to a vision average players only presume exists. It’s refreshing to see a community pivot from relying on developers’ balance changes to looking at pros for gameplay inspiration. We’re not pros, but we want to get as much out of the game as they do—time and energy permitting. Risk-taking benefits a community in the long-term, even if quite a few of the newly-minted Widowmakers I’ve seen have been absolute trash.